Christian Eiroa's boutique cigar company CLE produces premium cigars like the CLE Corojo with exquisite complexity and flavor at wallet-friendly prices, and Christian decidedly adds another notch to his master blender belt here. These cigars are meticulously hand rolled in Danli, Honduras, at the Aladino Cigar Factory with perfectly aged Authentic Corojo wrapper leaf from the Eiroa farm covering a long-filler blend of Honduran/Nicaraguan/Peruvian tobaccos bound in Authentic Corojo, and finished in a triple cap. 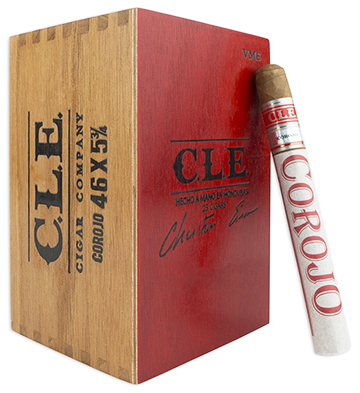 The thoroughly enjoyable CLE Corojo is a medium- to full-bodied spicy cigar with notes of earth, cedar, coffee, and black pepper. The finish is long, smooth, and a touch sweet.